No matter which Ashley HomeStore location you visit you'll find stylish quality furniture that's just right for any room in the house. But we're much more than just a furniture store - we're a member of the community! 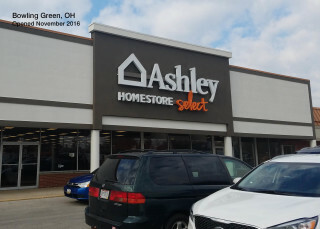 Ashley HomeStore owners and their team members live and work in the same areas in which their stores are located so they understand the importance of community involvement. Many participate in philanthropic activities and events and - at the national level - Ashley takes its philanthropic responsibility seriously by providing support for major charities throughout the country. Visit your nearest Ashley HomeStore showroom today.